Track hours worked, manage shifts and calculate commission automatically. Streamlined employee scheduling via a simple visual scheduler. 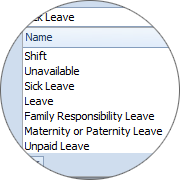 Track shifts, leave, sick days and other types of off periods. 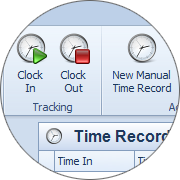 Monitor employee work hours with time clocking. Are you looking for something specific that's not covered in this list? Contact us now and find out what we can do for you.